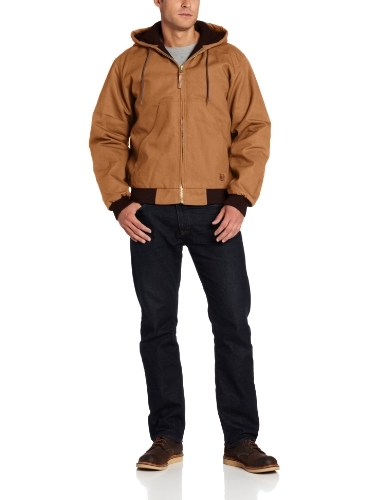 Heavy-duty firm-hand 100 percentage cotton duck shell with a water-repellent finish. Heavy-duty brass front zipper. Three inside pockets and a three piece hood. The body's liner is a heavyweight insulation quilted to a warm brushed tricot liner. The sleeves are lined with taffeta for easier on and off. View More In Work Wear. If you have any questions about this product by Berne, contact us by completing and submitting the form below. If you are looking for a specif part number, please include it with your message.